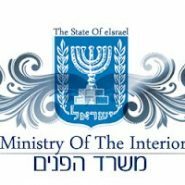 Yesterday my friend, Chaya, went to get a passport for her newborn baby at Israel’s Ministry of the Interior. And that was how she witnessed this “Why-I-Love-Israel” moment. The person ahead of Chaya in line was an elderly woman. When the clerk asked for the photos accompanying her application, the elderly woman realized she didn’t have any. But the elderly woman became flustered, she felt too shaky to take the elevator down 3 floors and get to the store on her own, and she started calling her children to find out if one of them could come to help her get to the photo store. Oi I love this 🙂 Thank-you! That’s the sweetest story ever!